Every profession has its own jargon, a lingual-code too commonly used like a secret handshake or regal plumage. Preening and obfuscating to outsiders, jargon usually is verbally ungainly. I find myself easily lapsing into beer-argot. For example I might say abv, when "alcohol", as in "it's 8% alcohol", would be more useful. And, please, no comments about 'alcohol by volume' versus 'alcohol by weight'. 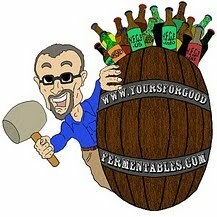 Other than the US big brewers, most of us craft brewers and most of the rest of the world's brewers use the former. The mainstream beer industry seems to disdain the word "beer", as if it were unclean tref. Its poohbahs superciliously substitute with talk of their "liquid" or their "boxes". The craft beer world has its own examples of this verbal diarrhea. Why simply say "beer", when one can proclaim "product"? Why say "flavor", when one can grandiloquently talk of "flavor profile"? And why talk of "flavor" or "structure" or "balance" when one can prattle on about "IBUs"? At the end of the day, nerds need this - URIs and URLs I mean - not the phrase "At the end of the day" - nobody, but nobody needs that. A good friend of mine recently returned from Asheville, North Carolina. She brought back a gift from Bruisin' Ales, that city's first and only specialty store devoted exclusively to fine beers. 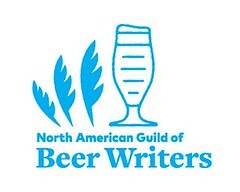 noun def: concern for the welfare and advancement of beer. Now, that is a super neologism. I have proudly affixed it to my binder.